TORONTO (February 9, 2013) – The National Hockey League Players’ Association (NHLPA) has announced that the NHLPA Goals & Dreams fund will donate brand new hockey equipment, valued at approximately $50,000, to youth hockey and disabled hockey programs in the Peterborough, ON area as a part of the Scotiabank Hockey Day in Canada celebration. This year there are five programs receiving NHLPA Goals & Dreams equipment donations: Kawartha Komets (15 sets of equipment); Kawartha Blazers (15 sleds and equipment); Peterborough Patriots (15 sleds and equipment); and Peterborough Hockey Association/ Peterborough Girls Hockey Association (15 sets of equipment). 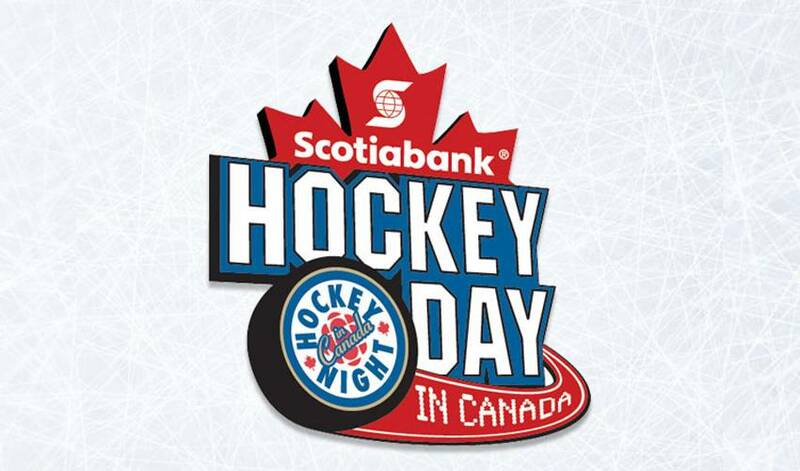 The NHLPA Goals & Dreams’ donation will be featured during Scotiabank Hockey Day in Canada on CBC today in a live interview conducted by host Ron MacLean with Peterborough natives Steve Larmer and Steve Webb (former NHL players and current NHLPA Goals & Dreams ambassadors). They will be joined by local Peterborough children from the recipient programs. NHLPA Goals & Dreams makes an annual equipment donation to grassroots hockey as part of Scotiabank Hockey Day in Canada. This year’s donation was unveiled at the Scotiabank Hockey Day in Canada banquet at the Memorial Centre in Peterborough on Friday evening. In 1999, the NHLPA launched the Goals & Dreams fund as a way for the players to give something back to the game they love. Over the past 13 years, more than 60,000 deserving children in 32 countries have benefited from the players' donations of hockey equipment. NHLPA Goals & Dreams has donated more than $21-million to grassroots hockey programs, making it the largest program of its kind. For more information, visit NHLPA.com. Kawartha Komets: A member team of Special Hockey International, the Komets are a not-for-profit organization that provides the opportunity for people with physical, emotional and/or neurodevelopmental challenges to play hockey. Kawartha Blazers: An entry level organization for sledge hockey teams consisting of players age six and up. Players who take part in this team typically have significant mobility issues. Peterborough Patriots: Similar to the Blazers, the players on the Patriots have mobility issues. The Patriots are made up of disabled teenagers and adults with good upper body strength. Peterborough Hockey Association/ Peterborough Girls Hockey Association: The Peterborough Hockey Association offers the opportunity for all children to play recreational house league hockey. The Peterborough Girls Hockey Association includes approximately 600 players and is run entirely by the efforts of volunteers.